DREGstudios! 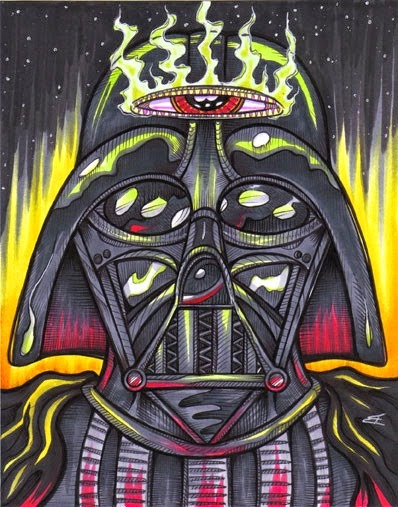 The Artwork of Brandt Hardin: HAPPY STAR WARS DAY! 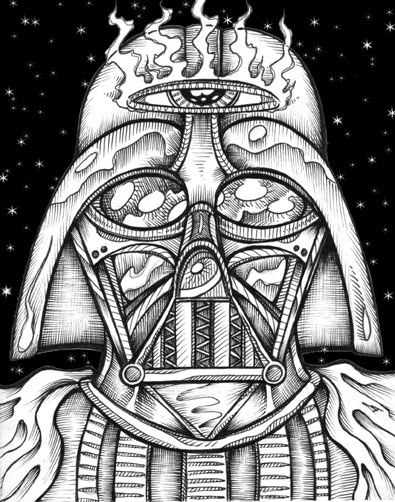 May the Fourth be with you... Here's my very first attempt at some fan art in homage to the "original" trilogy. I whipped up some Vader action with the trusty pens today on a small piece of bristol board (5in x7in) for this miniature portrait. Of course, I couldn't resist giving him a third eye. Just some quick fan art which I left black and white and added the background digitally for some fun contrast- Enjoy! UPDATE! 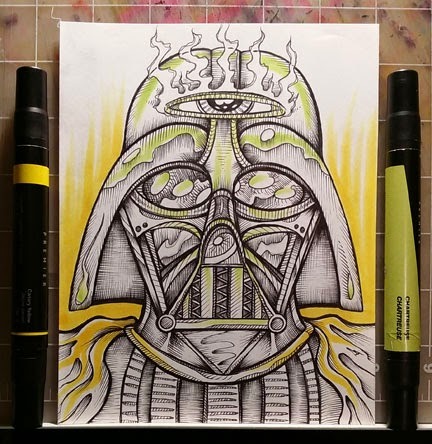 After going back out and soaking up some sun today I decided to put good energy in action by coloring Lord Vader!